Pink Beans are small, pale and brownish-pink with a rich, meaty flavor and a slightly powdery texture. Pink Beans can really hold spices, making them great for Mexican meals – try them for homemade refried beans. They’re similar to pinto beans, but smaller and rounder. 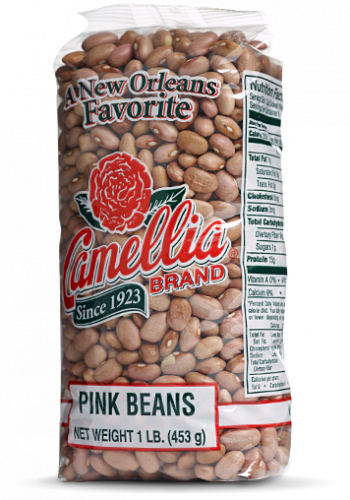 Like all of our beans, Camellia’s Pink Beans are non-GMO, gluten-free, and meet the “Hayward Standard” – the name our growers gave our bean quality standard – which exceeds the top USDA requirements. Try some today – we think you’ll taste the difference. 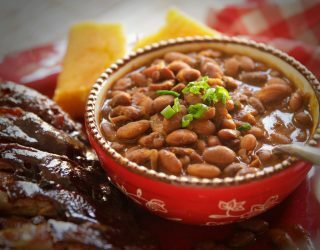 Popular in Caribbean countries, pink beans, or habichuelas rosadas, are similar in size to pinto beans and Great Northern beans and have a rich, meaty flavor. Pink beans are also a favorite in Old West recipes, barbecue-style dishes, and Mexican-American cuisine. Dry Beans vs. Canned: What's the Difference?